Express Employment Professionals Seattle has provided jobs in Seattle and the metropolitan area since 1990, as well as under the leadership of franchise owner Michael Lee since 2006. Founded in 1983, Express today employs more than 500,000 people across over 750 franchise locations worldwide. We help hardworking people find jobs and provide qualified employee and workforce solutions to businesses. Express Pros is a leading staffing provider in the U.S., Canada, and South Africa. We offer a full range of staffing solutions that include full-time, temporary, and part-time employment in a wide range of positions in Professional, Light Industrial, and Office Services industries. Are You Ready to Get Back to Work, Seattle? 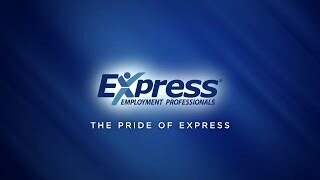 Express Employment Professionals aims to get over 1 million people back into the workforce, each year! That sounds like a lot, right? We admit, it’s a very tall order and it’s going to take a lot of hard work on our part, but we are determined to hit and then surpass it with each passing year! For our Express office, the work starts right here at home in Seattle. For more than ten years, Express Seattle has served as a bridge that allows local Employers and Job Seekers from our metropolitan area, to connect with each other and create successful Employer/Associate pairings that will get everyone involved one step closer to achieving their goals! Utilizing our ISO certified hiring process and our recruitment tactics, which have proven very effective, our team is able to create custom solutions based on your needs, skill sets or requirements, and availabilities. It’s all in the details and our compiled experience and knowledge are what make us qualified to fully comprehend each situation and connect the two parties that best complement each other. The Express Seattle team is at your service and ready to help you find achieve success in the Seattle metropolitan area! Visit Our Staff page to learn more about our team and what we have to offer you! Our team believes that education shouldn't end when you complete your schooling. The only way to grow and reach your goals is for you to never stop learning! At Express, we offer both Employers and Job Seekers multiple opportunities to learn, such as Express's annual Refresh Leadership Live Simulcast and a wide selection of free webinars. These knowledge-building tools are put in place to present you with information that is relevant to running your businesses or to your job search. "Employee Morale and Engagement", Communication With and Getting the Most From Your Employees", and "Conflict Management" are just a few of the topics that are focused on for Employers. For Associates, we have Lunch'N'Learn programs that can be held at your office and go over topics like, "Learn to Lead", "Generations in the Workforce", and "How to Be the Employee Your Employer Can't Live Without". Express Pros Seattle works with job seekers to help them find the right job for their skills and experience. We have a variety of jobs available, and there are full-time, part-time, and temporary positions available. And, as one of the leading staffing agencies in North America, Express provides employment services and workforce solutions to employers throughout our community. Contact us today to get started on finding the right fit for you. To help good people find good jobs by helping our clients find good people.